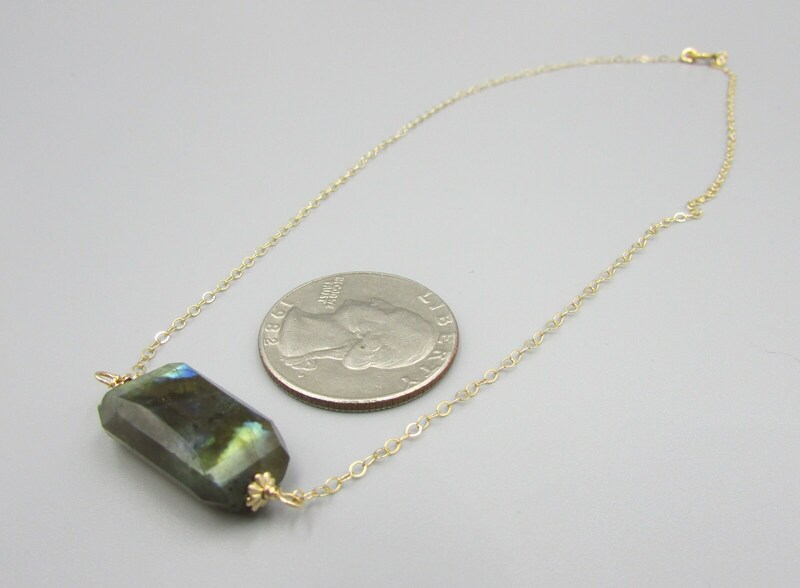 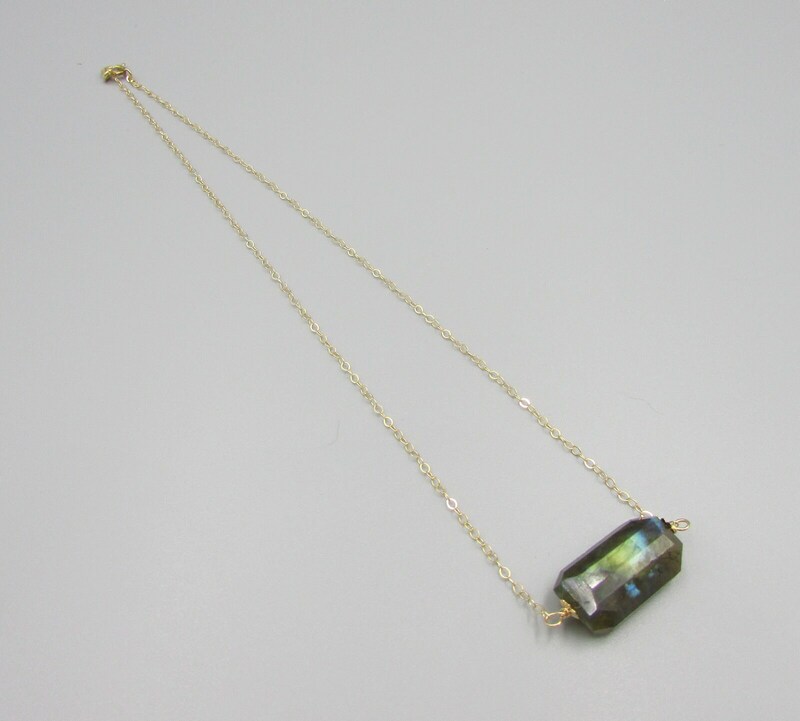 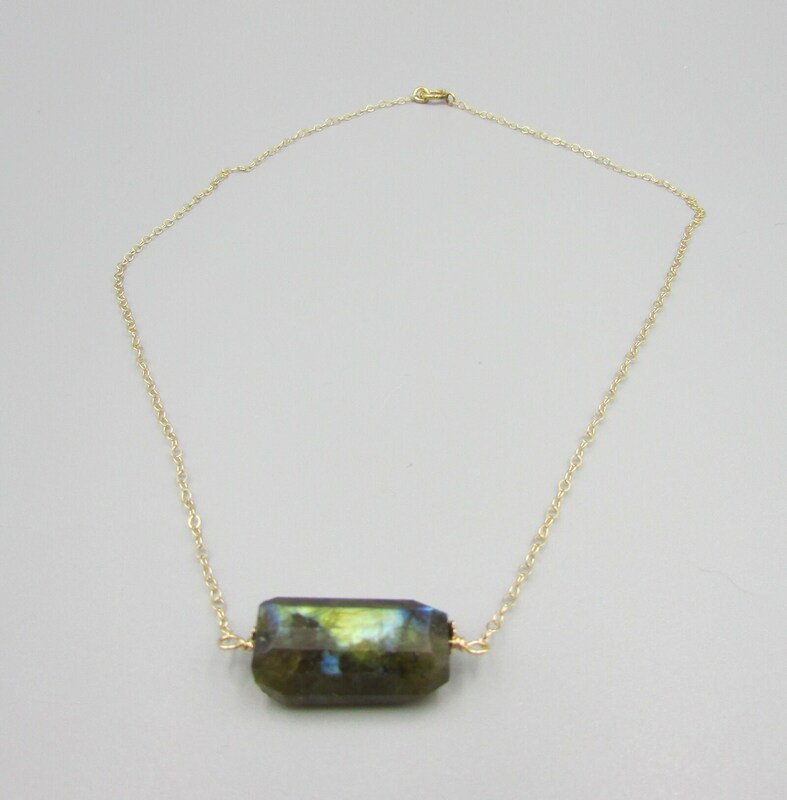 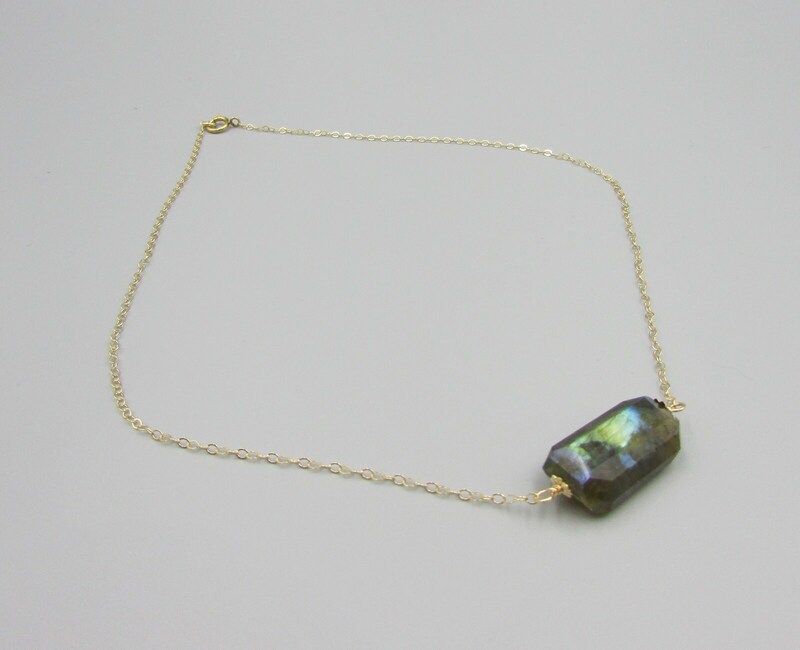 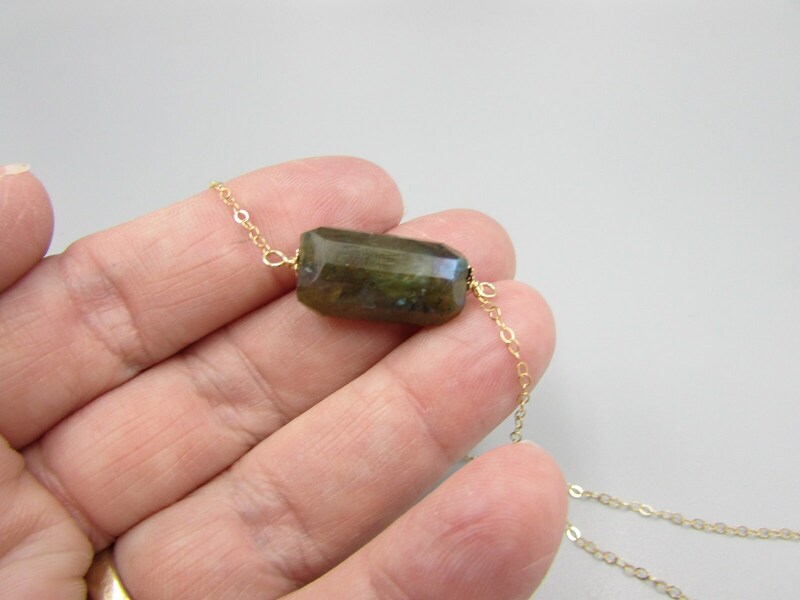 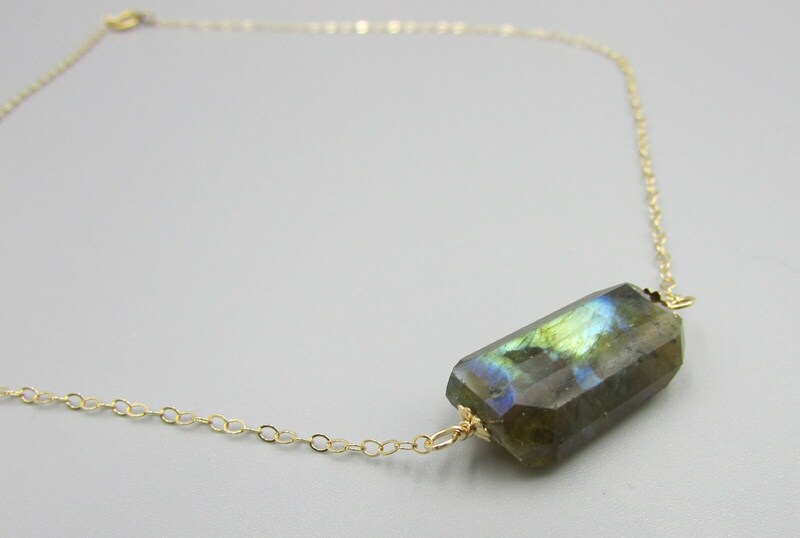 This lovely Labradorite choker is made with delicate 14K gold filled chain and a AAA Labradorite faceted gemstone. 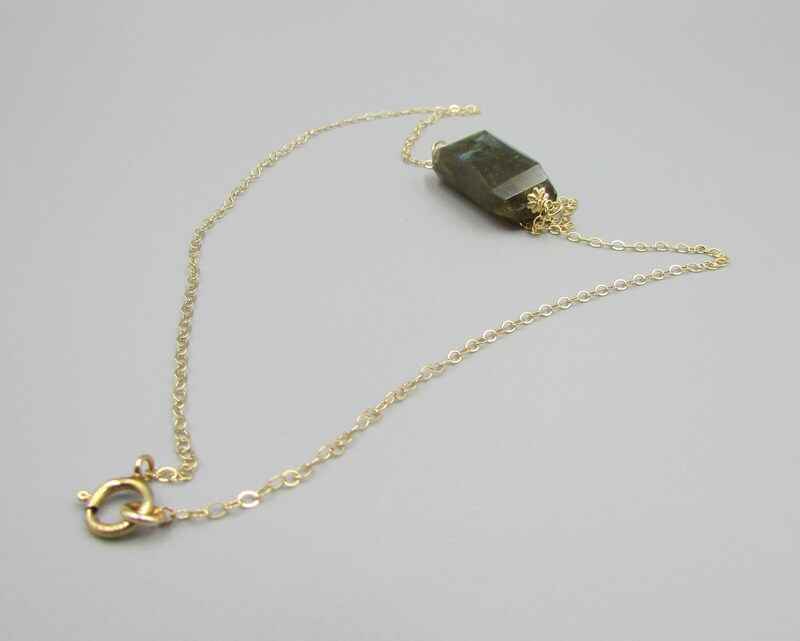 The choker fits snugly to the neck at 14 inches long. 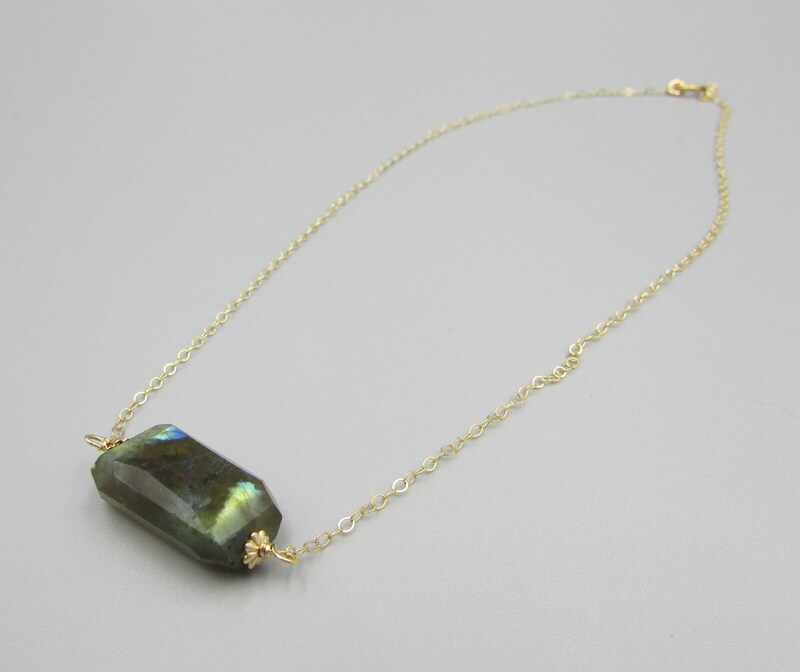 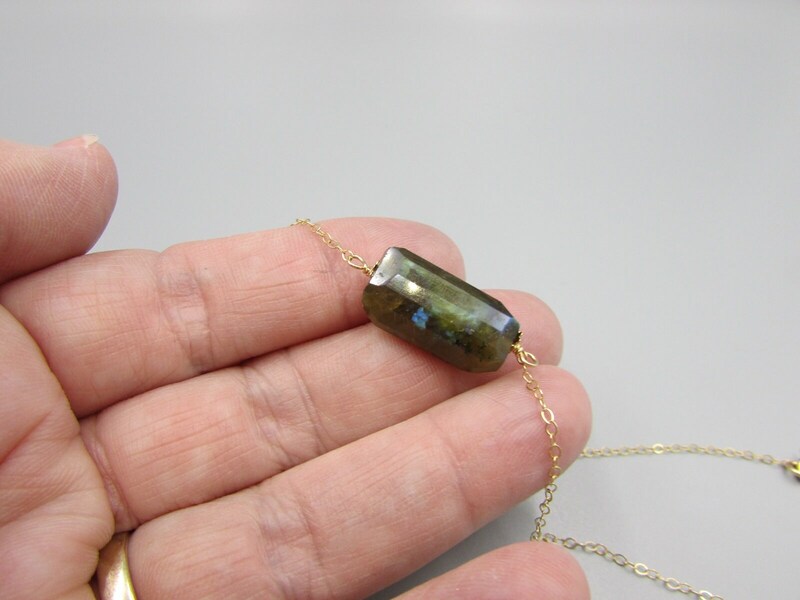 The Labradorite gemstone has a beautiful blue flash and seems to glow with sun hitting it. 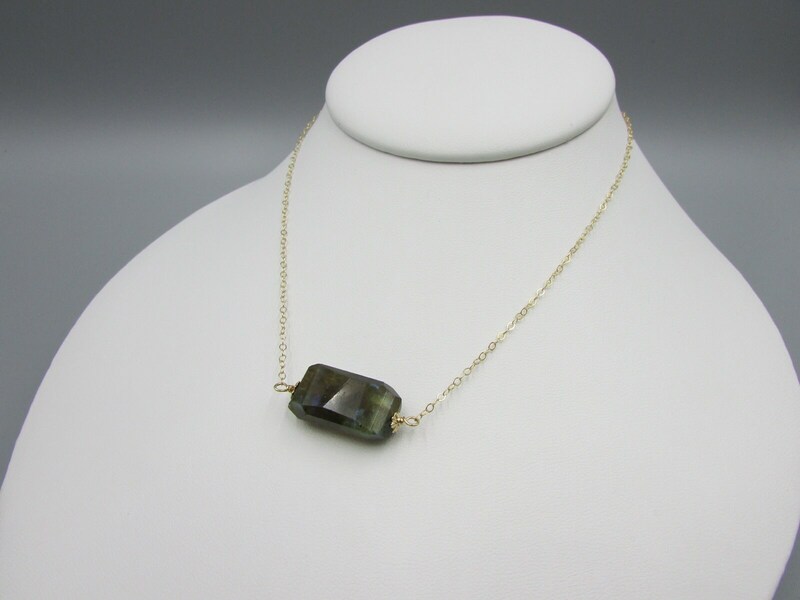 A must have for this seasons fashion.